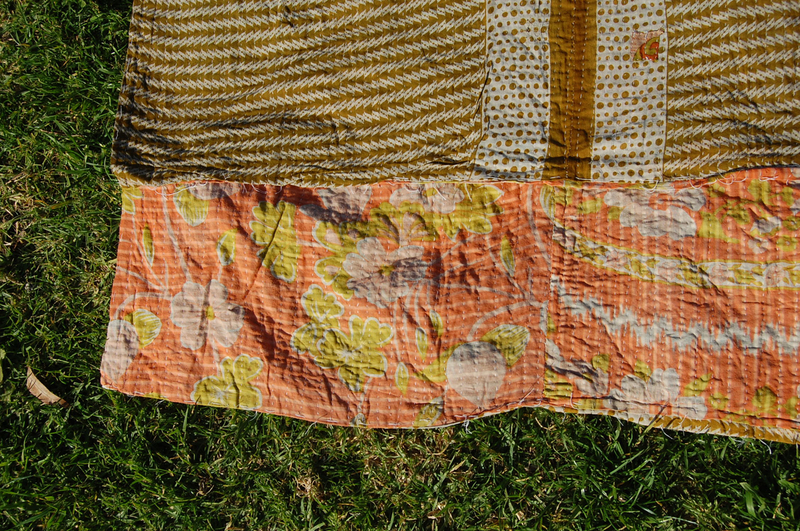 The unique combination of colour – peach, chartreuse, ochre, pastel pink – takes this kantha stitch saree floral quilt cover to another level. 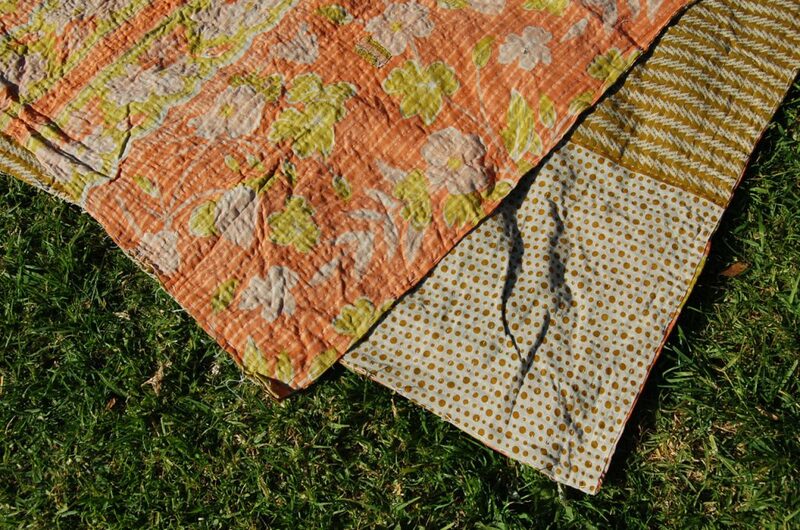 Soft cotton throws from India are a great way to spice up a room – and interestingly, spice is sometimes used for the colour of the quilts! 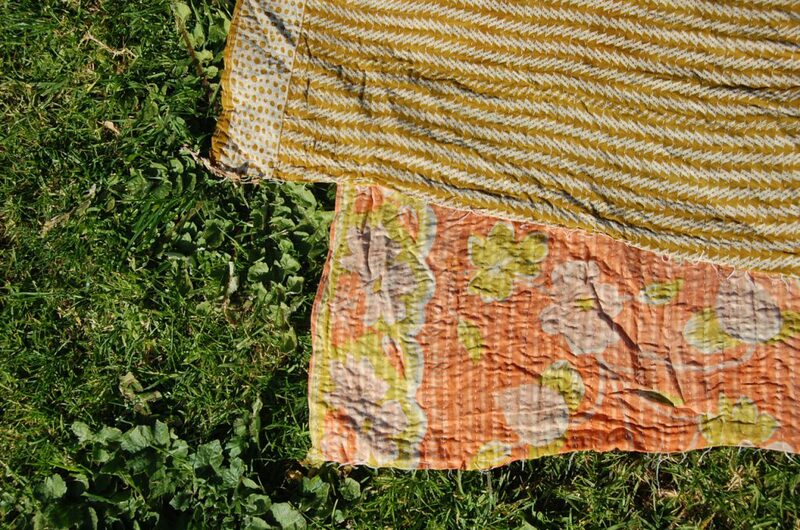 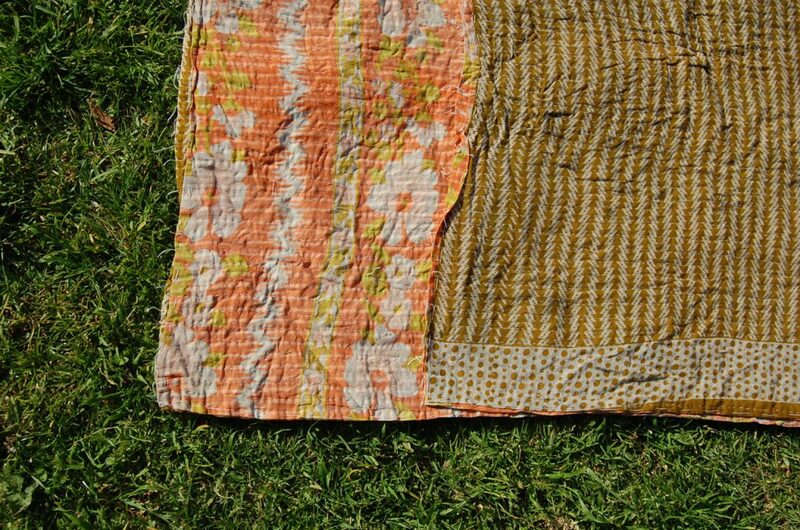 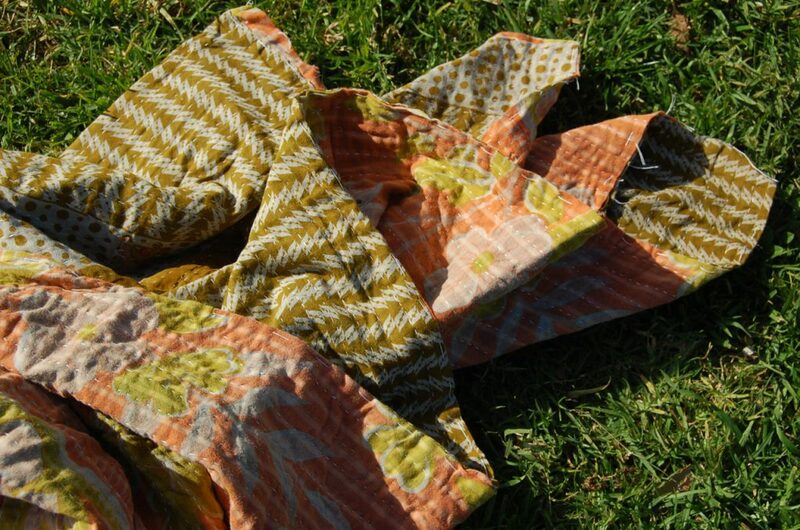 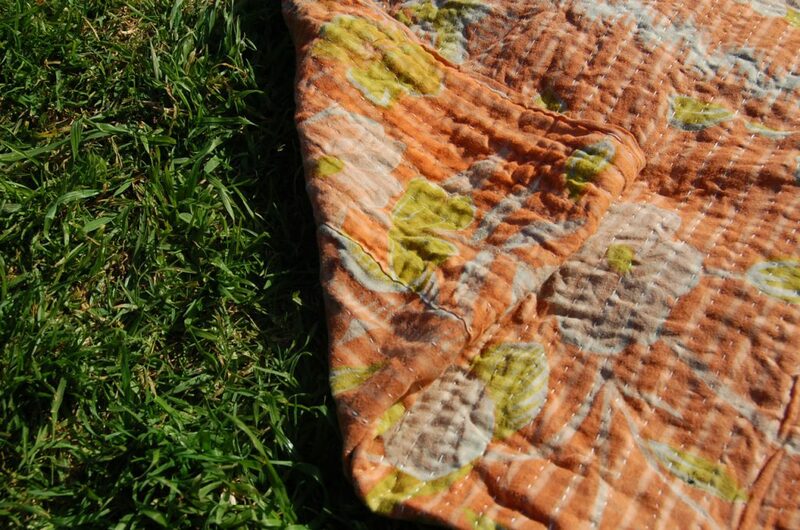 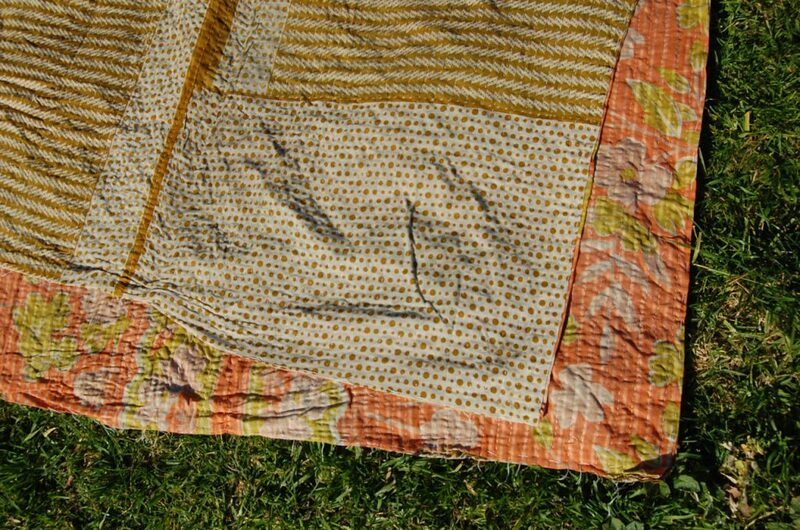 See more of the uses of turmeric as a natural fabric dye here. 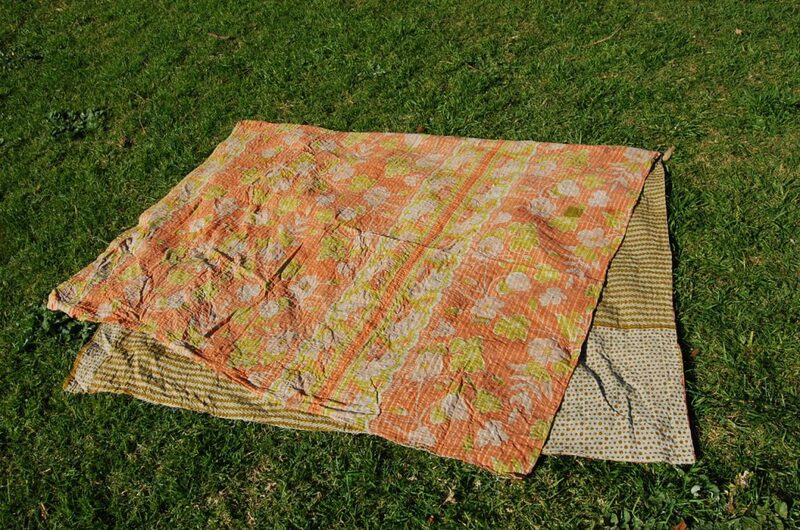 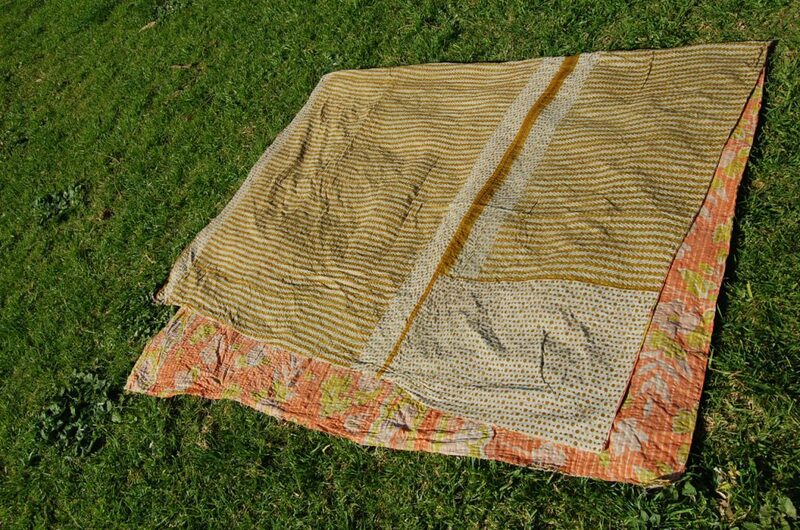 Shop our hand-picked range of vintage Indian kantha quilts and throws here.